Truman Annex - ' Island Queen' End Unit Villa is One of a Kind! Once you see this historic two storey townhouse, you won’t want to stay anywhere else! Filled with natural light, this end unit is ‘tucked away’ in an exclusive, historic Foundry building next to the ‘Truman Little Whitehouse’. There are only 3 residences in our building! There is an over sized antique brick patio and a raised deck area. The tropical garden is fully fenced with tall palm trees and hedging. A propane grill station and well maintained garden with accent lighting, create an outdoor space that is perfect for dining alfresco or gazing up at the stars, while you sip your glass of wine! Can you sense the relaxation? A designated parking space with custom carport is located directly at the garden gate for maximum convenience with unloading of baggage and groceries. Enter through either of two sets of French doors and discover the wide, open living and dining rooms areas! The living room has a flat screen TV and a DVD player. There is surround sound for listening to relaxing music provided by the two high quality speakers attached to the ceiling - great acoustics! The modern kitchen is fresh, bright and fully equipped with everything you will need to practice your culinary talents. There is a bar area that sits 3 people for cocktails to keep the chef entertained. Margarita glasses are housed in the cupboard over the stove. Maybe you wont even cook at all! There are so many wonderful choices to grab a lunch or linger over dinner in Old Town. 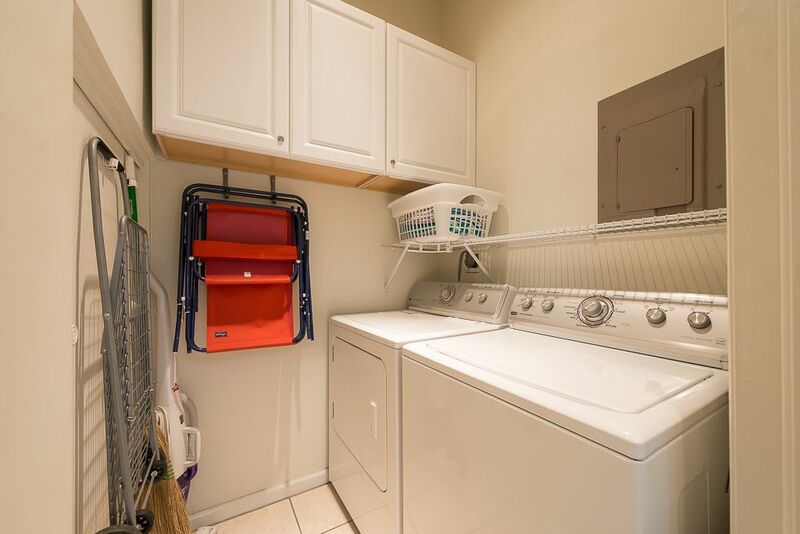 The main floor also has a separate laundry room with full size washer and dryer and stores beach towels for guests to use at the pool or beach. An ironing board and iron are stored in the upstairs bedroom closet, in case you want to take in a play at the local Red Barn Theater. Blow dryers and curling irons are in the both upstairs bathrooms. 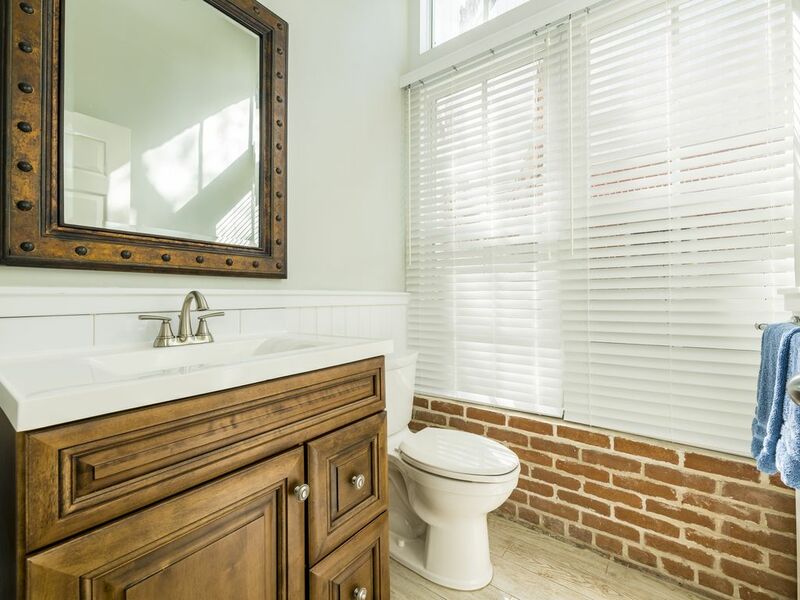 There is a convenient main floor 2 piece powder room located beside the laundry room. This is one of only two existing Foundry homes that has a center hall plan, over sized garden/patio with the ability to use a grill and is a 2 level dwelling - other Foundry units have 3 levels. It is the only end unit with this unique wide and open floor plan and large outdoor space. Truly one-of-a-kind! 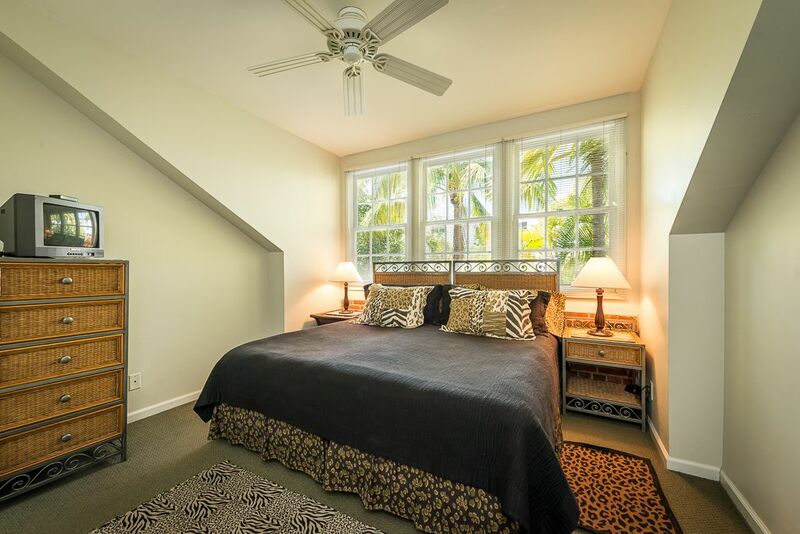 Both bedrooms upstairs have private adjoining bathrooms, televisions, extra pillows, towels and sheets. LOCATION is second to none! 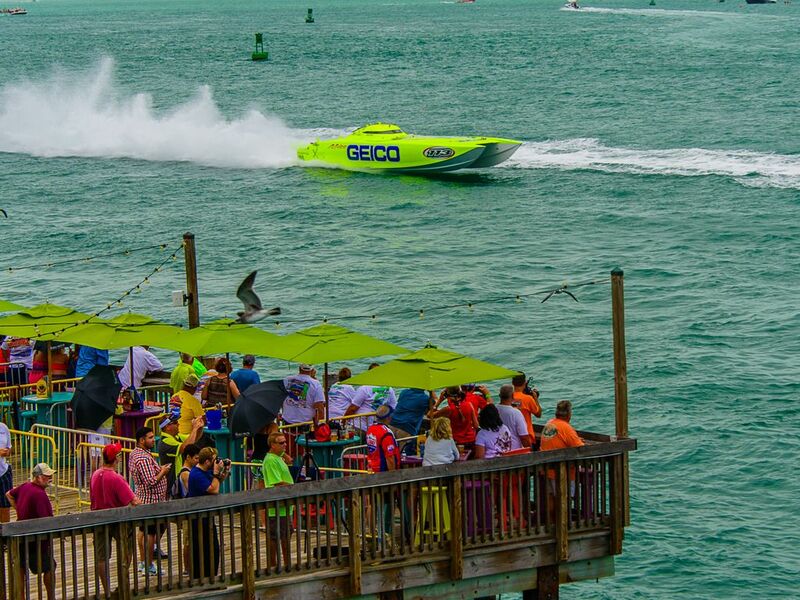 - Walk to the marina, sunsets and all Old Town Key West attractions, the Customs House Art Gallery and the infamous Duval Street with its shops, bars and restaurants! You can choose the exciting nightlife or stay at home enjoying the tranquility of the lush Truman Annex community. Let this historic home relax and recharge you after a busy day of touring and fun activities! Many of our guests choose to return to our 'Island Queen' home year after year. See what others say in our guest comments, to assure yourselves of a truly memorable and enjoyable vacation! We cherish our historic Foundry home and we think you will love it at 'Island Queen' also. For Adult Couples Only - Minimum Age Requirement is 35 years old. 'Island Queen" is a few short blocks from the infamous Duval Street with its restaurants, bars, shops and nightlife! If you need to refresh, you are just steps away from your peaceful island home and refuge. 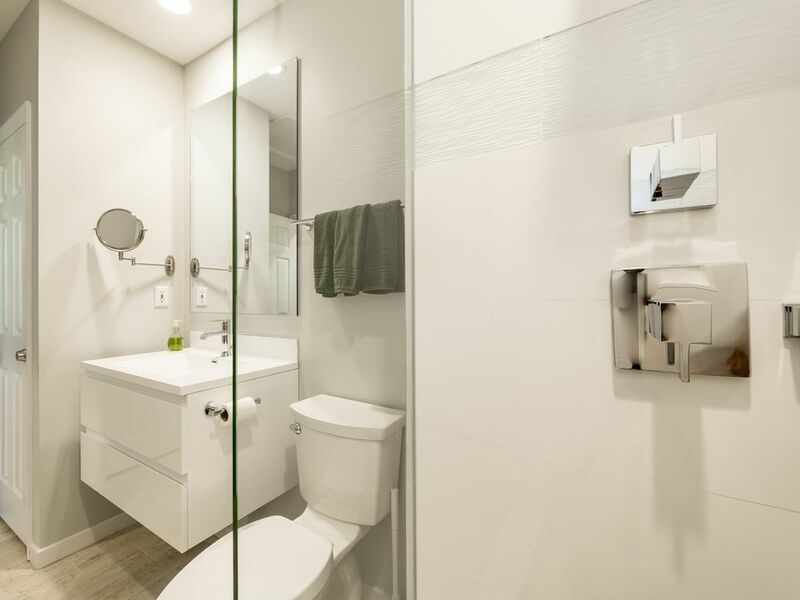 Each Bedroom has an Adjoining Bathroom and there is TOTAL privacy between the two bedroom suites! 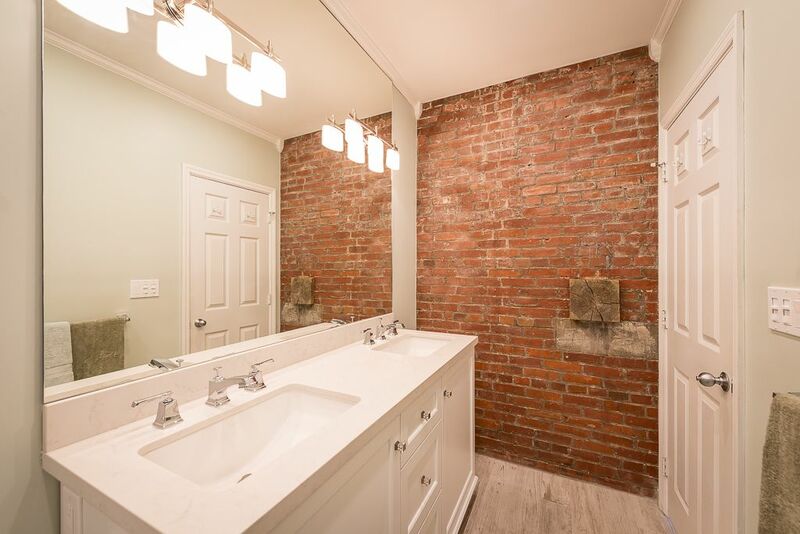 This is the only 2 level townhouse available for a short term vacation rental in the entire historic Foundry neighborhood of the Truman Annex community. End unit for added privacy and natural light; this Foundry building is located directly beside Truman's historic "Little White House" and there are only 3 residences in the building. Largest Garden and Patio Area in the Foundry neighborhood of Truman Annex that is available for short term vacation rental. 'Island Queen' offers an outdoor grill, extra spacious, private gated garden to enjoy morning coffees and gather for a cocktail before dinner. Truly one-of-a-kind! 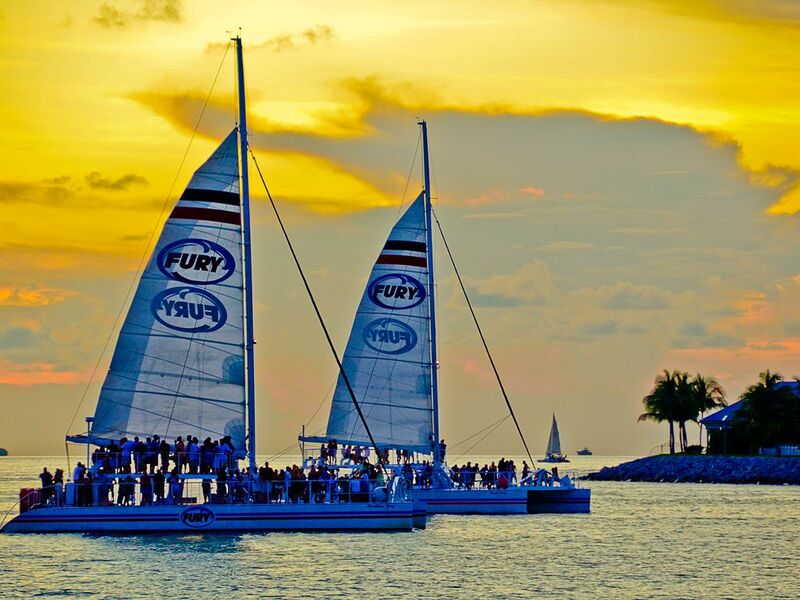 5 minute walk to Key West Sunsets at nearby marina. We absolutely love and care for our 'Island Queen' home. We make ongoing upgrades and renovations for our guests and for us to enjoy - You will not be disappointed! 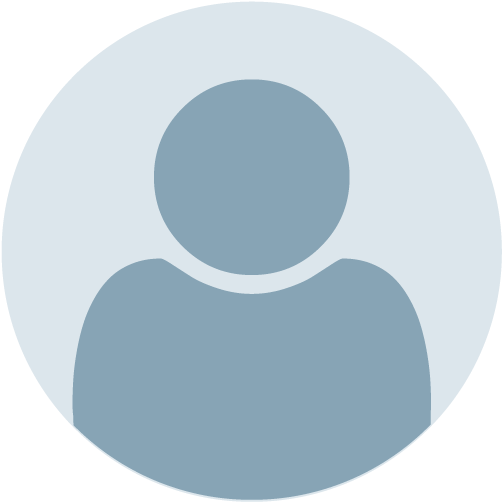 We are extremely careful who we rent our home to - please tell us about yourselves! We need to be assured you will take very good care of our home and its contents. Our property is kept in top condition and our property manager, Consuelo (Connie) is the best at welcoming you and providing you with an exceptionally clean environment. 'Island Queen' and the entire Foundry neighborhood are Non Smoking Zones. Please ask us to send you a Copy of our House Rules at 'Island Queen' for your careful review, as these Rules are a condition of this Rental and must be strictly adhered to during your visit. No Guests under age 35. Museums, Art Galleries, Restaurants and Bars, Historic Sites and OLD TOWN Key West right at your doorstep! 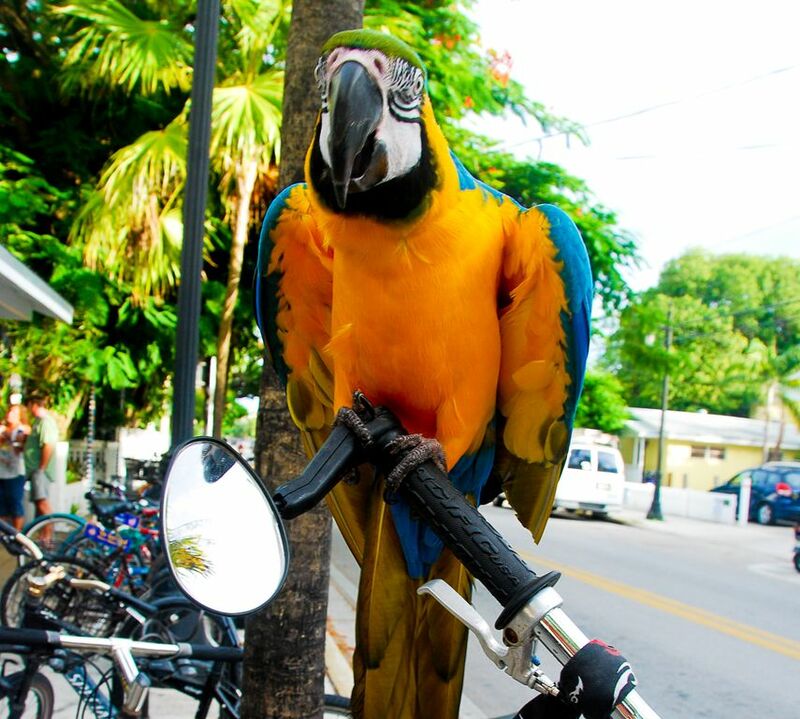 No need for a car - You can walk to every Old Town Key West attraction! 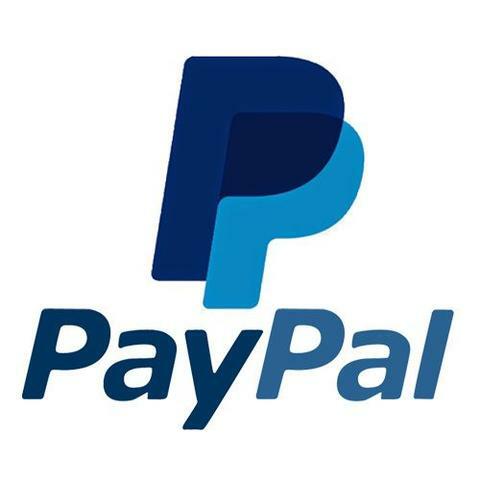 All payments are made through Visa Bank Card, Visa Credit Card, Master Card or Capitol One Master Card. A Reservation Deposit ($1000) is payable at time of booking. On your occupancy, this Deposit automatically converts to a Security Deposit, that is refundable; provided no damages to our property or its contents. 50% of total Rental is payable 60 days prior to your date set for occupancy. Remaining 50% of total Rental is payable 30 days prior. Spent 2 weeks at the Island Queen and it was money well spent. The property is well maintained and clean - both inside and out. The Annex is quiet location (except for landscaping and garbage day Mondays!). The owner, property manager, and cleaning folks were very accommodating to our schedule. This will be our first go to place again in Key West. Thank you Rosemary! This was our second stay at the Island Queen. The first was several years ago and we have made other trips but unfortunately we were unable to secure reservations because it is so popular. 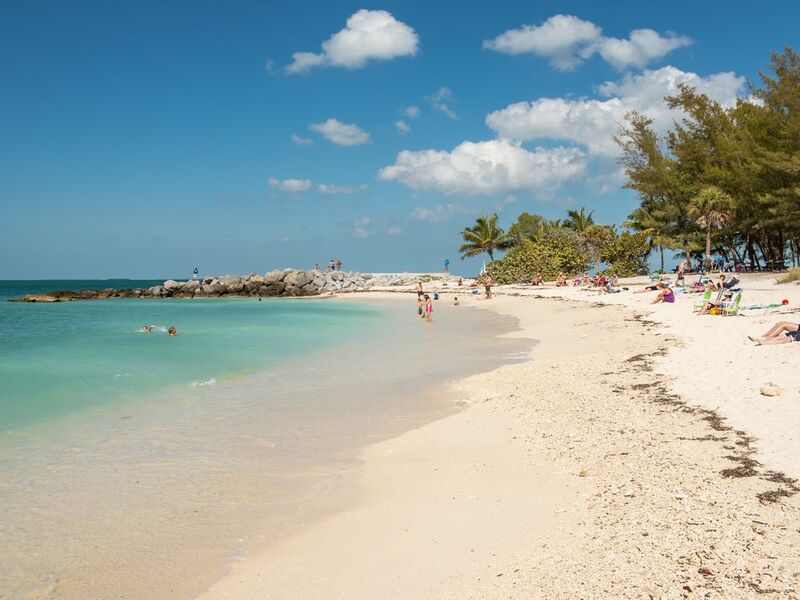 Key West is paradise and the Island Queen is the perfect place to stay while visiting. It is always well maintained, clean, beautiful as you can see from the photographs, close to everything, off street parking, quiet and comfortable. Rosemary is great to work with in setting up your reservation and communication before you arrive. The check in/out process with Patty was easy and quick. This is always my first choice when I visit! 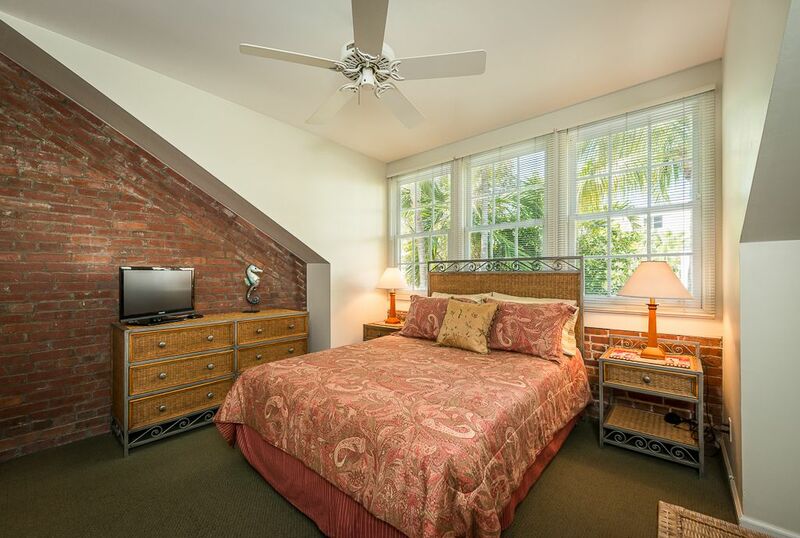 We have stayed in the Truman Annex in Key West for several years. This was by far the nicest home we stayed in. Very well cared for , updated bathrooms, spacious. Rosemary is very easy to deal with. She clearly loves her property and takes very good care of it. Great location! Highly recommend! This was our second stay at “The Island Queen” ... & it didn’t disappoint us! The home was beautiful & immaculate (thanks to a wonderful cleaning woman - who was also very nice & professional)! Truly amazing, since we really thought that there would be signs of Irma somewhere around ... but, none to be found! Key West in general really bounced back quickly from the hurricane! The weather was delightful ... & it cooperated through our whole stay! We can’t wait to return once again ... for the “Island Queen” is one of our favorite spots away from home! Thank you again, Rosemary & Mark, for sharing your beautiful oasis with us! Doesn't get much better than this. Convenient to Mallory Square and surrounding area. 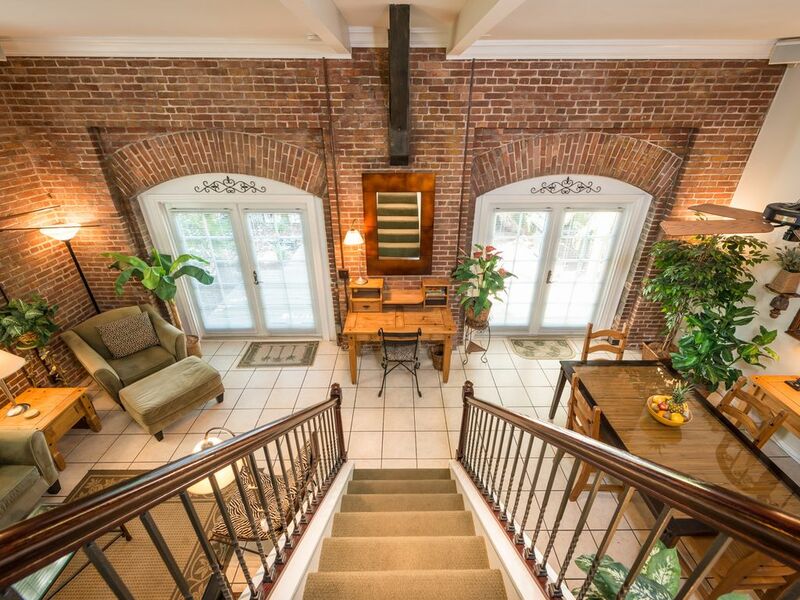 The old foundry building with the charm of brickwork that defines this property is wonderful! Already have booked for February. Owner responds quickly. by Ddebbbra & David B. Beautifully decorated and very clean. Nice patio also. So close to Mallory Square and Duval St. Very nice people to deal with. What a great vacation!! We have stayed in various locations at Key west but after staying at Island Queen this will be our go to spot. 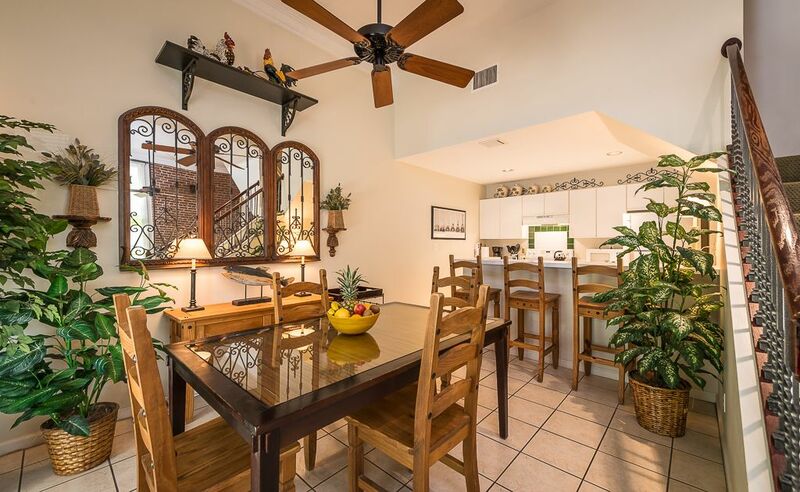 Amazingly close to Mallory Square and Everything, complex and unit pristine. Very comfortable for two couples. Beautiful Space---Bedroom separated for privacy. Very nice property. Very convenient to everything in Key West. Beautifully well-maintained unit, perfect for 2 couples. We were so comfortable there, it's just like home! 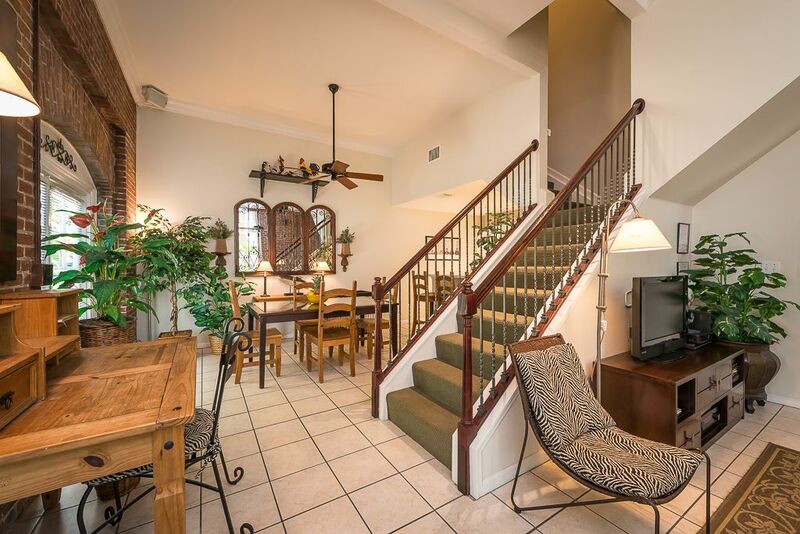 Very quiet and private location, yet just a short walk to Mallory Square, Duval St and multiple restaurants. We really enjoyed sitting out in the courtyard under the shade of the palm trees. Can't wait to go back! We enjoyed our stay at this house so much last year that we booked it again as soon as we came back. It's a beautiful clean house and we liked the location which was an easy walk to Duvall St., the beach and docks but gave us s quiet place to unwind and rest. It's perfect for four people with separate bedrooms on each side of the house. We loved having dinner in the court yard and felt safe in this gated community. Really cool that Truman's White House was right around the corner. Highly recommended! This was our second visit to Key West. On our first visit we stayed at the Casa Marina which was lovely but a bit to out of the way. We loved the location of this unique home in the Foundry Building of the Annex. A beautiful red brick building located just a block away from everything. When we rented the condo we did receive a list of rules from Rosemary and I found seeing this comprehensive list of rules to be a very good sign that the person that owned this condo cared about keeping it nice. I was reassured we would not arrive and be disappointed by the condition of the residence. As I expected we arrive to a spotless home very well decorated and nicely appointed. 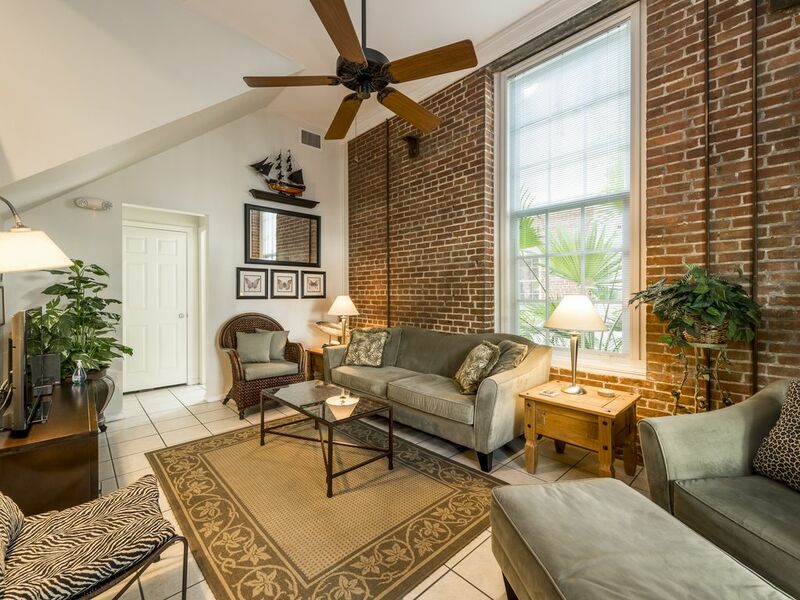 A great condo located in what actually was a foundry. 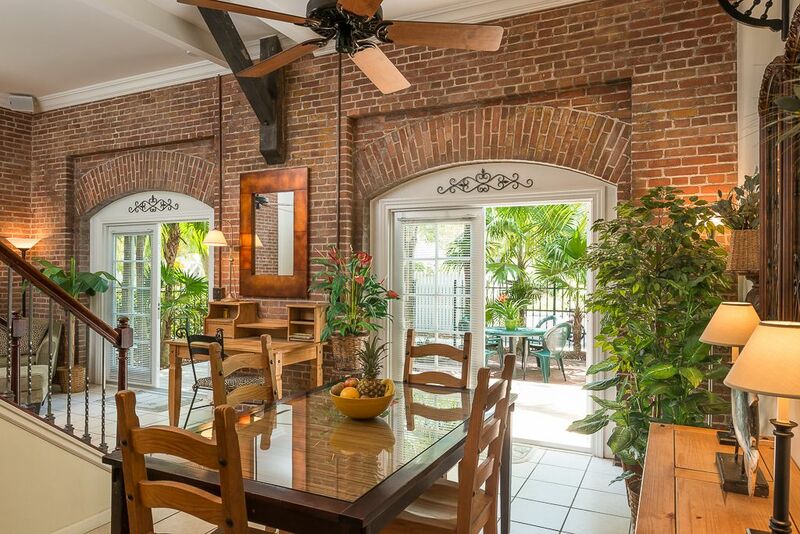 Original brick walls with high ceilings and in the best possible location in Key West old town. 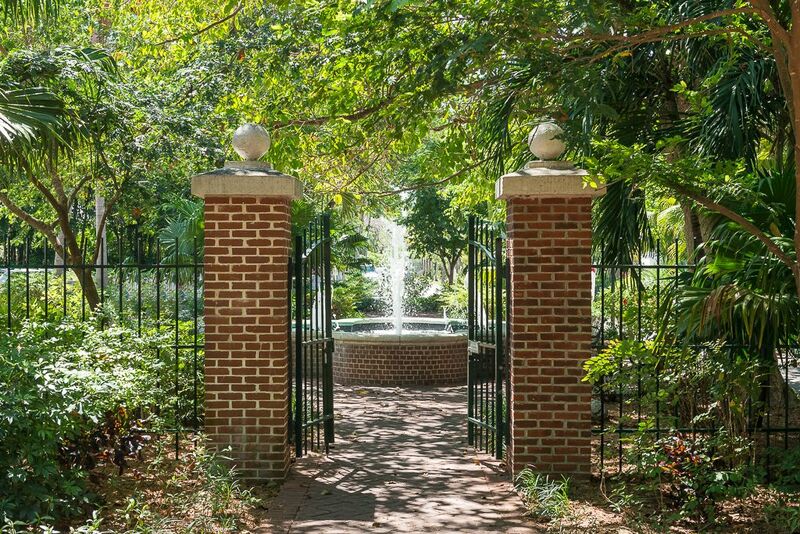 It is in walking distance of activities on Duval Street, Mallory Square, Fort Zachary State Park, Hemingway house, the Truman White House, etc. No car needed! Unlike most condos in the foundry, it has two floors instead of three with a split stairway leading to two separate bedrooms and baths. The shared pool is close by, just across Front St in a quiet and beautiful neighborhood. 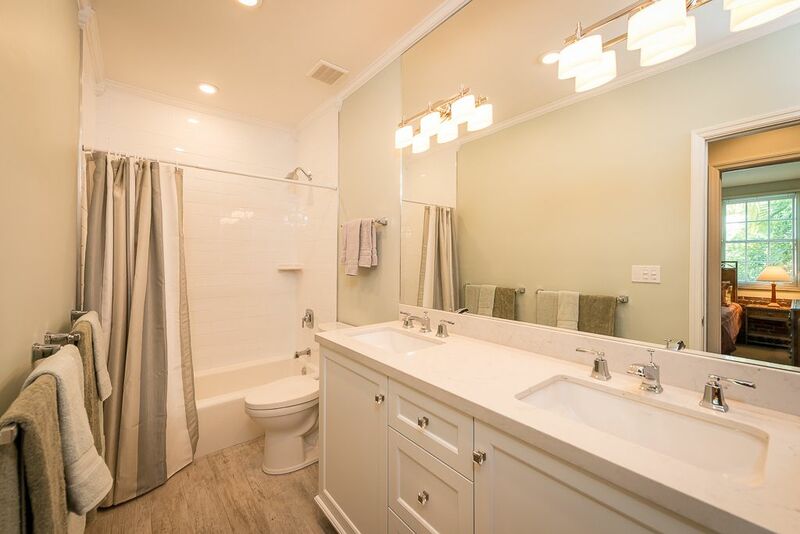 Rosemary has updated and remodeled two of the bathrooms in this very clean and comfortable condo. 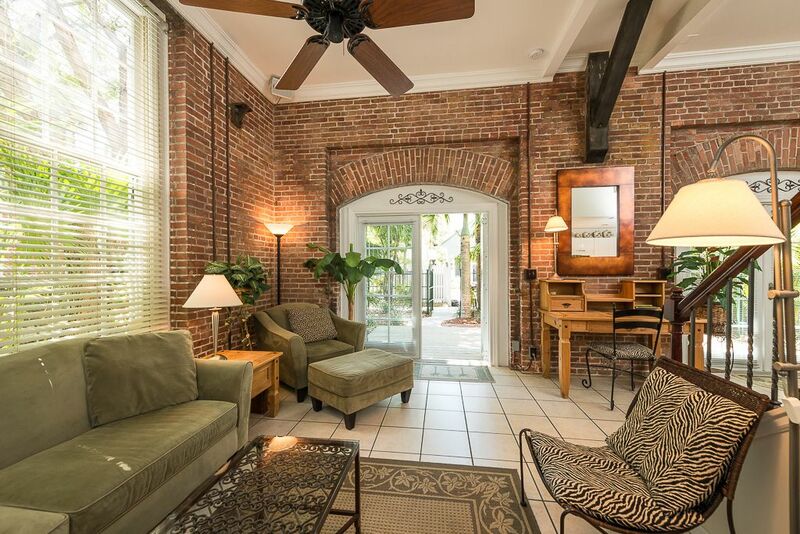 This is the perfect place to stay within the Truman Annex at Key West. The home has charm and character, is comfortable, spacious and so well maintained. Enjoyed the deck and garden area each morning for breakfast, and would walk and bike everywhere. We will be back! Had a wonderful week at Rosemary's home! Close to everything great location! Hope to return to this property in the future. Home very clean and well maintained. Spacious bedrooms with comfortable beds. Really enjoyed the outdoor patio for morning coffee, pm relaxing after the beach, and grilling several meals for dinner. Location is convenient to everything we needed, and the list of suggested shopping was very helpful. All the features of home while being 5 minutes from the beach - what more could you ask for? We plan on returning next year! by Such a beautiful home in a perfect location!! This condo in the Foundry section of the Truman Annex was amazing! The pictures are beautiful, but they don't do it justice--it is actually even nicer than represented. The decor is beautiful, the layout of the home is perfect for two couples, with two very private bedroom/bathroom areas upstairs. Also very nice half bath downstairs which was very convenient. This condo was spotless and very well maintained. All of the amenities you need for a wonderful stay were included--from kitchen dishes and utensils to a huge BBQ grill in the private, lovely patio area. Check in and customer service was ideal-- Patty and Jim met us with the keys and took great care of us. I just can't say enough about how much we enjoyed our stay at this condo in Key West. 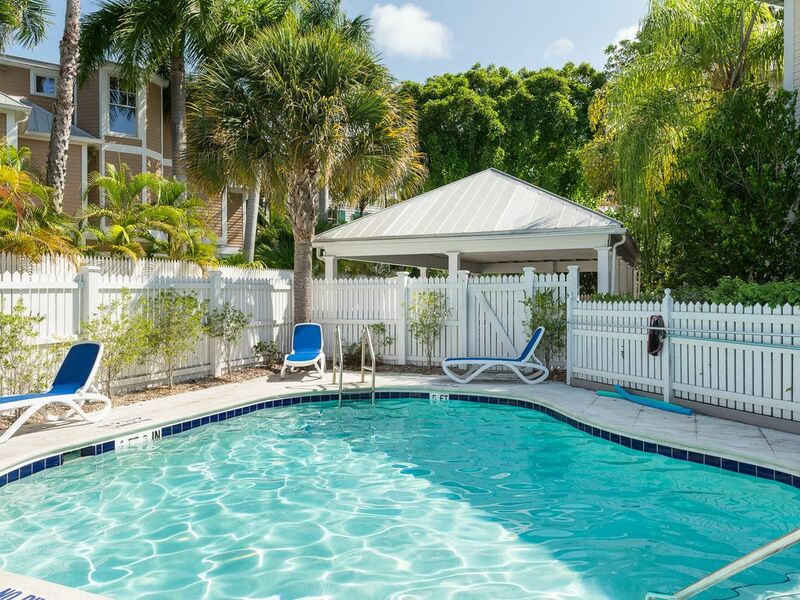 Very convenient to the pool, to Duval Street with all the shopping and dining you could ask for, and to Mallory Square for the best sunsets in the world! I promise you cannot go wrong booking this property--you will love it!!! All of the great reviews held true in our experiences at this property. The location is perfect and the property itself has a neat feel due the history of the property. It remains in great shape because the owner is rightfully particular about how it is cared for. It is perfect for two couples as we just used it. You would be wise to lock in on this one!!! We have stayed at a few other homes in Truman Annex and this one is the nicest. Very clean. The pool is well kept and the location is perfect. We have stayed in this wonderful home of Mark and Rosemary's for three years and have plans to return for our fourth. The location of this home is incomparable! 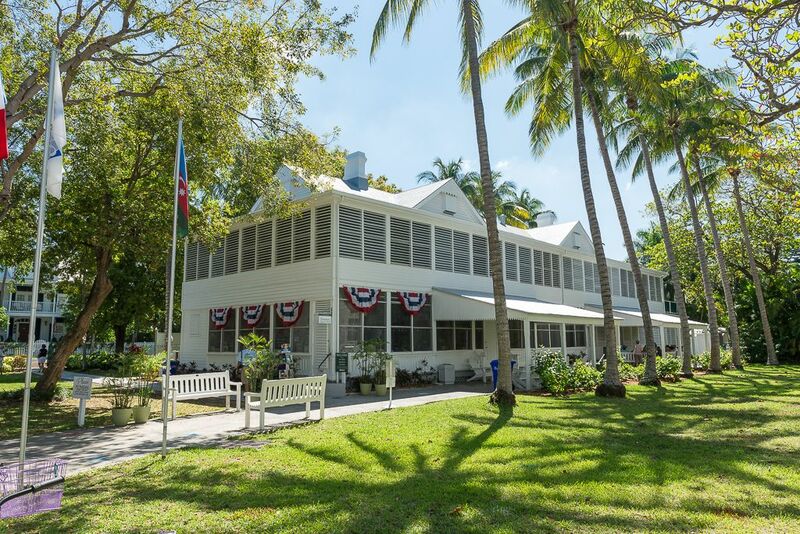 Duval Street, Mallory Square, the Truman Whitehouse and many Old Town locations are all within walking distance. Moreover, the home is immaculately maintained. 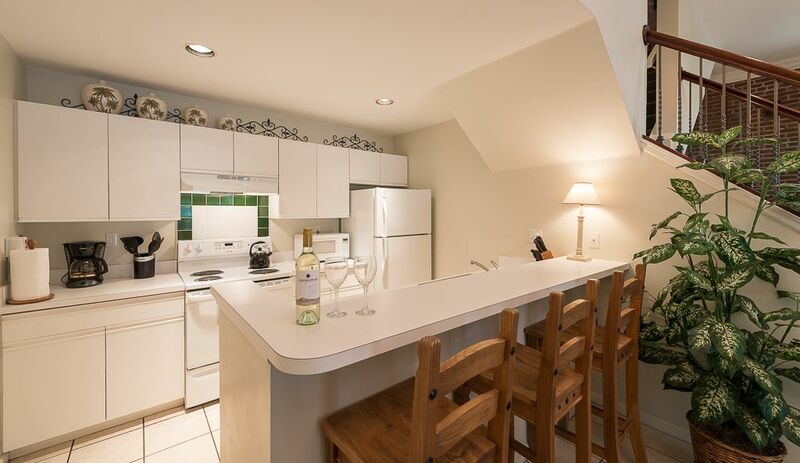 The kitchen is well stocked and the layout perfect for two couples. The owners are wonderful to work with and ensure that everything is in order! This property is a one of a kind!! Description of property is accurate, very clean and well maintained. The separation of the bedrooms provided nice privacy. 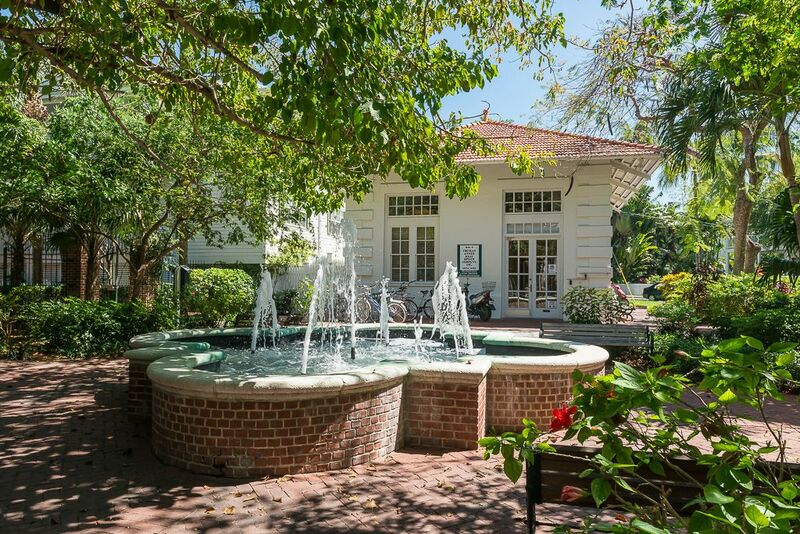 Property is secure and very convenient to the square and Duval street attractions. Pool is small and a short walk but clean and pretty private. Owner was great to deal with. We would very much recommend this property. This was our first vacation rental through VRBO. We were extremely pleased. This condo was just as described with no surprises. Rosemary, the owner, was excellent to deal with. Very professional and all our questions were answered promptly. The condo was perfect with a great layout. 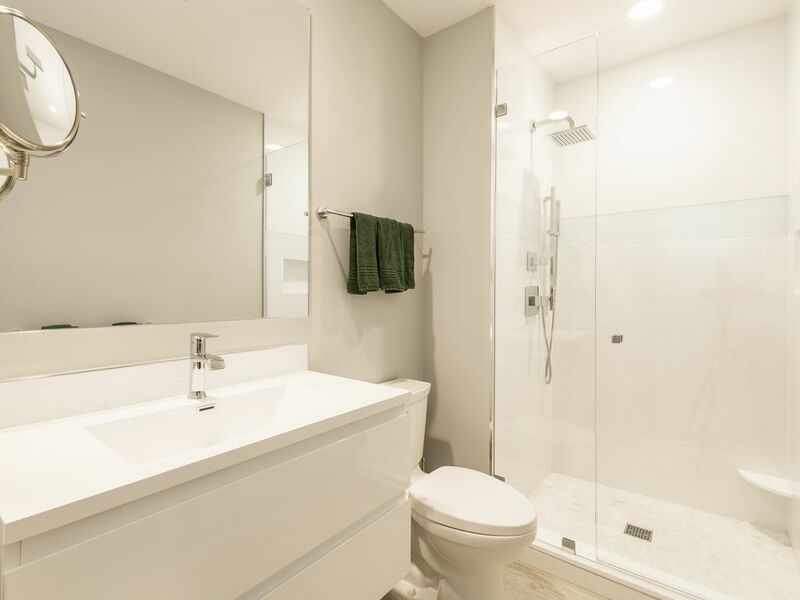 Everything we needed was available and it was ultra clean and meticulously well cared for. The location could not have been any better. 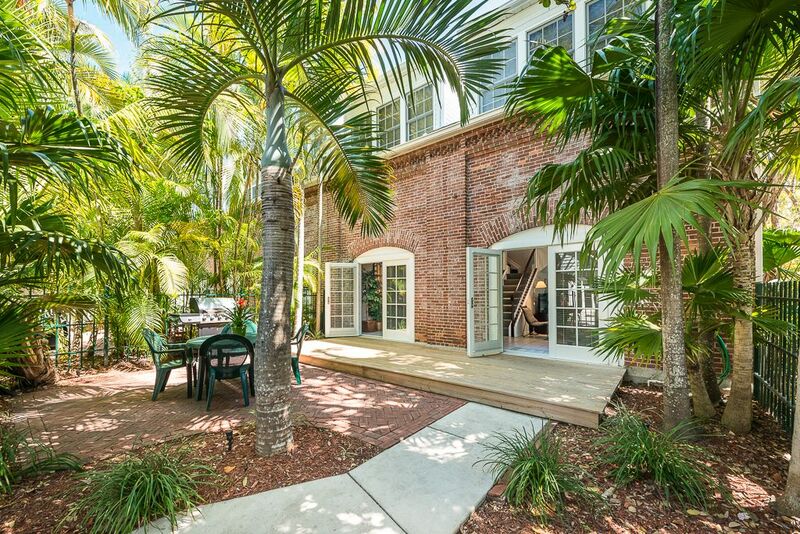 Very private and quiet with easy access to EVERYTHING that is Key West. Patty, the local property manager was a pleasure to deal with also. Excellent communication and always available if needed. When the week was over, our security deposit was promptly refunded within 48 hours of leaving. I would highly recommend renting from these owners. They are very ethical and a pleasure doing business with them. We will surely rent from them again when the opportunity arises. Thanks for a great vacation! !